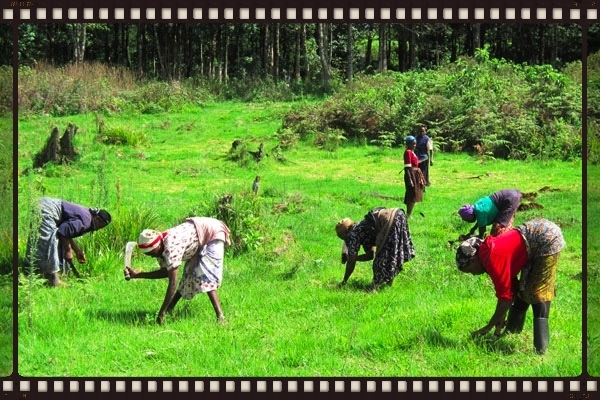 Best wishes for a green and special year ahead to all our supporters from the Mount Kenya Trust Team! In this newsletter we review a few of the highlights, issues and successes of 2013 in pictures. 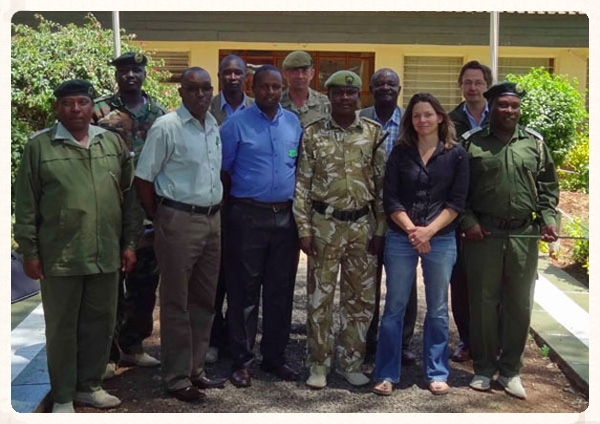 January 2013 - The British Army Training Unit Kenya (BATUK), Rhino Ark, The Kenya Forest Service, the Kenya Wildlife Service and the Mount Kenya Trust join forces to discuss increased collaboration. 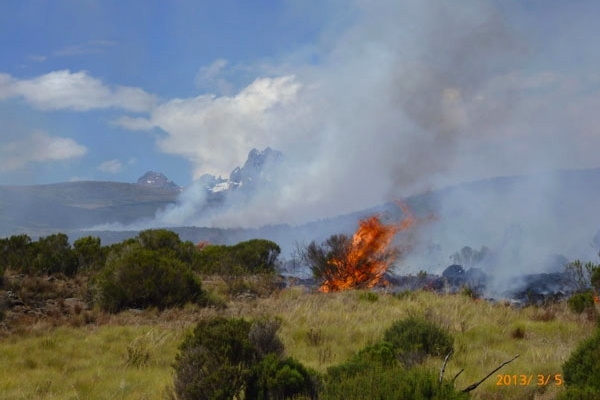 The partnership facilitates information exchange and support from BATUK in the areas of training, fire fighting, infrastructure development and rehabilitation for Mount Kenya and the Aberdares. Photo of participants at the inaugural meeting. 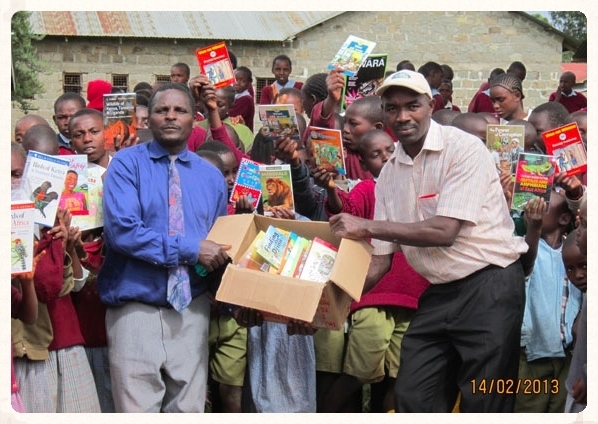 February 2013 - Thanks to continued support from Kunoni and the Born Free Foundation we were able to supply the Manyatta Primary School with hundreds of books and resources. Support for Manyatta Primary has been funded by the two organisations and facilitated by Mount Kenya Trust for many years. February 2013 - The SAX 10 to 4 Mountain Bike Challenge 2013 - Kerry Glen swept the board for the top women's titles smiling all the way. Check out that backdrop! 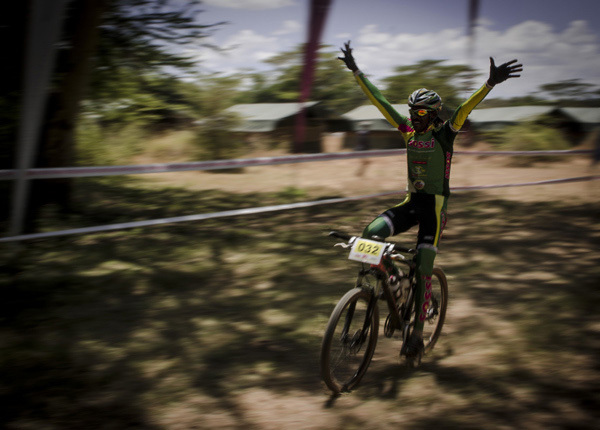 February 2013 - International cycling superstar and king of our hearts David Kinjah of the Sossi Simbaz wins the SAX 10 to 4 Mountain Bike Challenge with the in all sections of the Extreme two day event. Find out more about Kinjah and the Simbaz by clicking on this link. Snippets from March - June 2013 clockwise from left: 1. MKT's environmental Education project is run for Mount Kenya schools and communities by our Field Co-ordinator Humphrey Munene and Kenya Wildlife Service each school term 2. 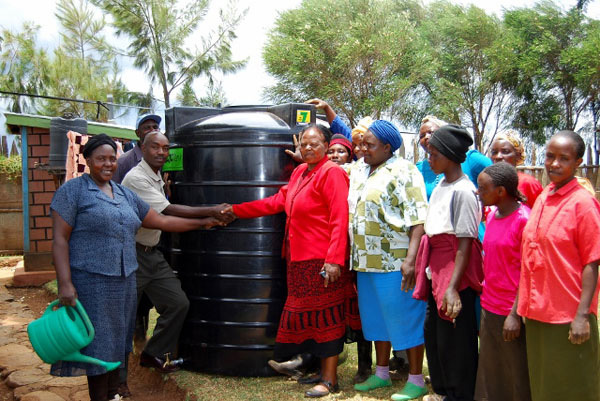 Humphrey hands over a water Tank to Kianjogu Mwanzo Mwema Women's Group at Ontulili Forest block where we are planting trees with the community. 3. 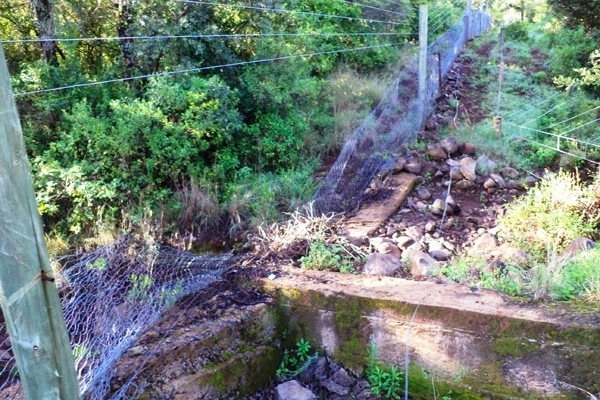 Our Mount Kenya Corridor fence maintenance team are kept extremely busy when damage by water, people, vehicles or animals threatens the integrity of the game-proof fences along 28km of fencing. 4. The Horse Patrol Team spots and extinguishes a large fire. All of our men are involved in fire fighting activities in the driest months of the year. All in a days work - more pictures taken our patrol teams. Clockwise from top left: 1. Removing a rope snare capable of snaring an elephant for a slow torturous death. 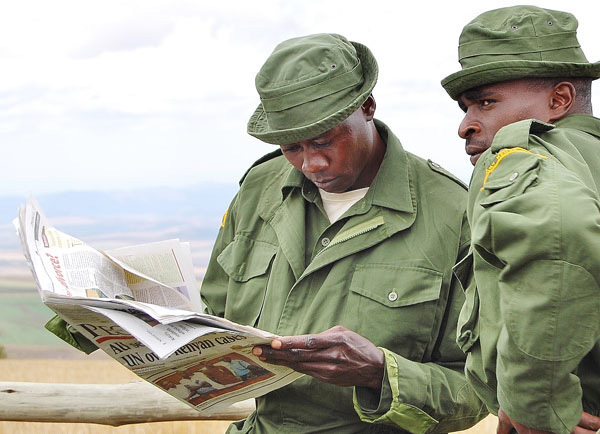 The Joint Wildlife Protection team is a KWS, MKT and KFS joint operation supported by Mount Kenya Trust 2. 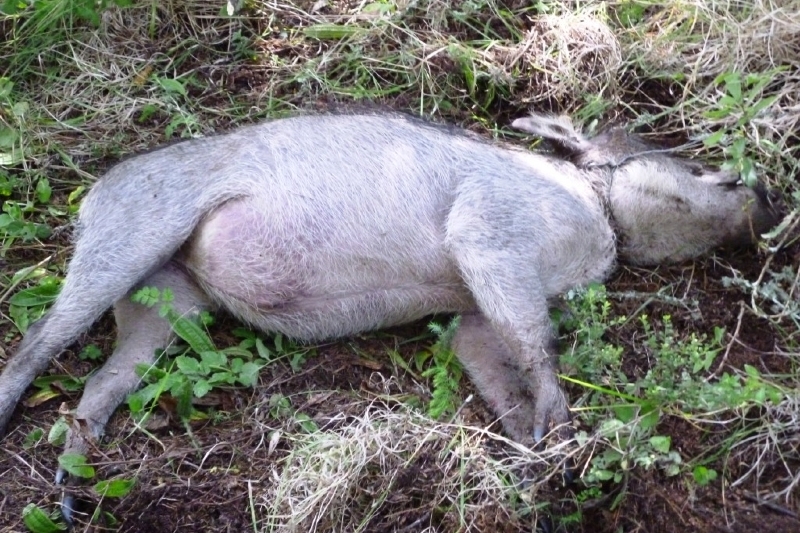 A warthog found caught in a snare 3. 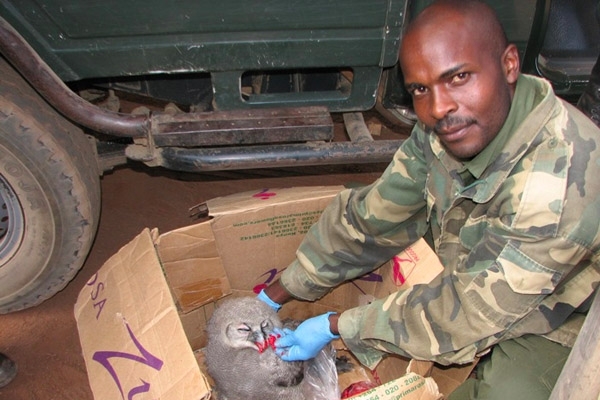 Rescuing a young Verreaux's Eagle Owl who is being looked after at Ol Jogi until he can be released into the wild 4. 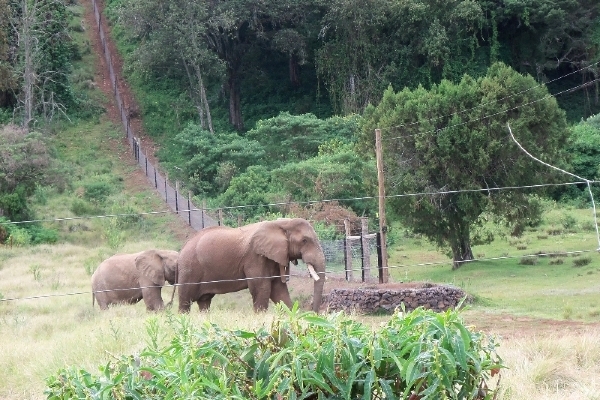 Mountain Bull exits the elephant corridor with his friends. 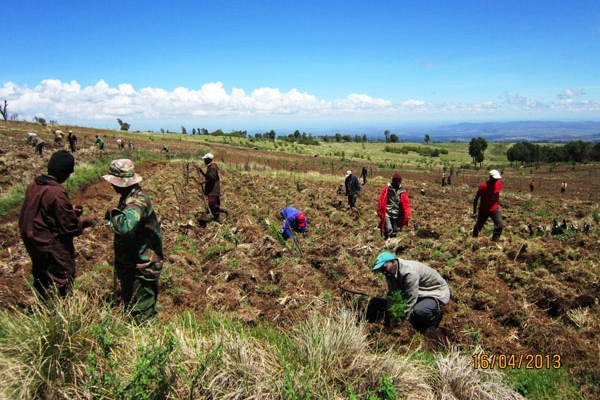 Tree planting 2013 - We have three major indigenous tree planting projects on Mount Kenya with the help of local communities. The 10 to 4 Mountain Bike Challenge supports our newest project at Karuri. 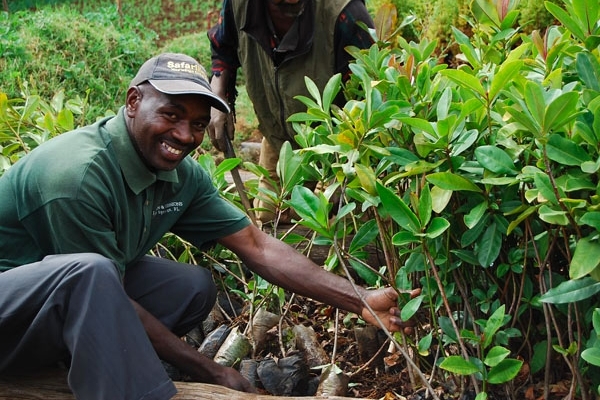 Top: Planting indigenous trees in Irangi Forest, Bottom right: Humphrey at Ontulili with seedlings for planting. Bottom left: The new Karuri project supported by proceeds from the SAX 10 to 4 Mountain Bike Challenge. Our Horse Patrol Team goes from strength to strength. In August 2013 they are captured patrolling on the moorlands. 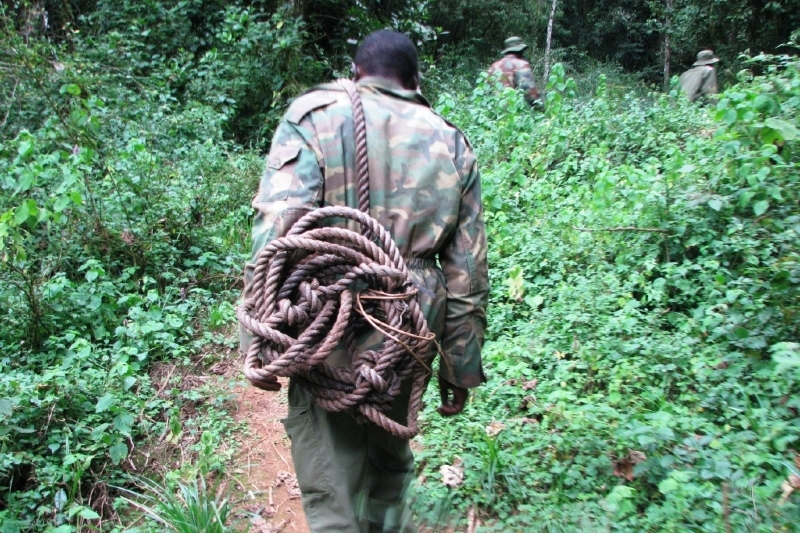 The team reports illegal activity to the authorities, collects snares left to capture antelope, buffalo and elephants and records wildlife sightings and illegal activity of all kinds. Our Ethiopian ponies are perfectly suited to the job. 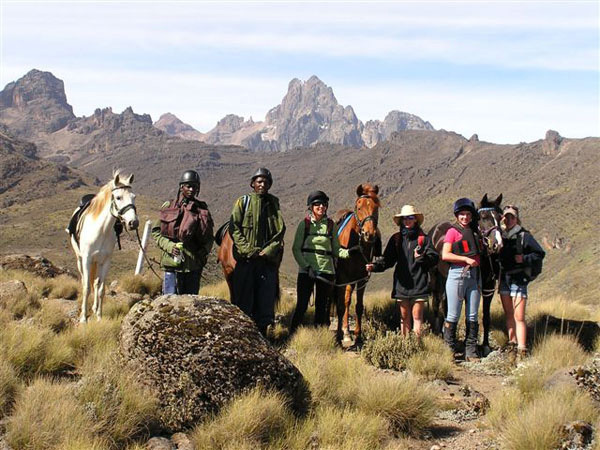 In July 2013 Charly Beak, a 13 year old girl from Nanyuki set off up the mountain on pony Lilla with Rachel Robley from Pembroke House, Mutuma and Martin from our own patrol team and three of our tough Ethiopian ponies. They were accompanied on foot by Charly's Dad David Beak and Clive Ward on foot, all to raise funds for the Trust's Horse Patrol team! Charly was unable join her classmates from Pembroke House on their mountain climb because of knee trouble. Sad at the prospect of being left behind she and her family hatched an adventurous plan. Not only was she able to take part in a climb with the rest of her school with this unique challenge on horseback, she made a huge contribution to the Mont Kenya Trust's newest team thanks to her brave spirit and hugely supportive parents. The riders made it up to Liki north camp and back to the Sirimon gate over 3 days. This is a huge achievement for everyone involved and we raised 1 million shillings for the patrol team! Well done Charly and thank you to the many people who supported this amazing equine climb! 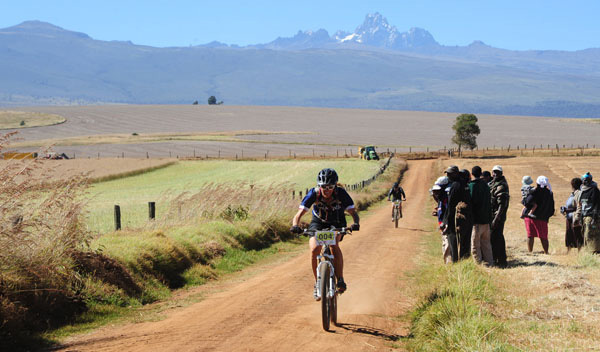 October 2013 - Fly540 Aviation Kenya announce huge support as title Sponsors for the Mount Kenya Trust's 2014 Fly540 10 to 4 Mountain Bike Challenge the immensely popular fundraiser for the conservation work of the Mount Kenya Trust. October 2013 - The People newspaper covers 3 separate stories on the work of the Mount Kenya Trust and the Fly540 10 to 4. Here's one of the links. 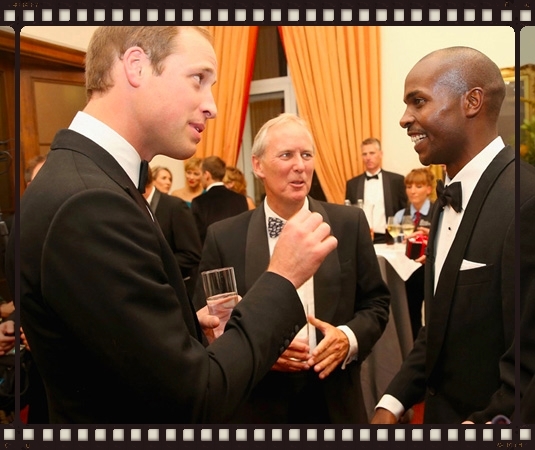 September 2013 - Our Senior Community Wildlife Officer Edwin Kinyanjui is honored for his work with 4 other finalists at the prestigious Tusk Trust Conservation Awards Ceremony attended by the Duke and Duchess of Cambridge at the Royal Society in London. We are so proud of Edwin's work with the Trust and it is heartwarming to see it being recognized internationally. Fellow Kenyan Tom Lalampaa was awarded the Tusk Award while Clive Stockil received the Prince William Award for Conservation in Africa, a life time achievement award. November 2013 - Movember in Mombasa 2013. Fabulous fancy dress teams sporting month old mustaches did an unbelievable job of making us laugh until we cried on 30th November. Organised by Natalie Balk and Dominic Weeks the event raises funds for the Bomu Men's hospital in Mombasa and the Mount Kenya Trust. Each Charity were donated 400,000/- KSh from the proceeds. 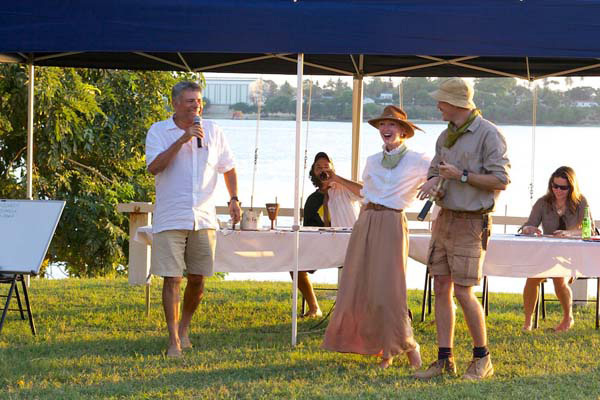 One of the fancy dress teams and the judges including Mount Kenya Trust's Dom Weeks, Jean Koch and MKT's Susie Weeks at the Mombasa Yacht Club is pictured above. A huge thank you to the organisers, sponsors, and volunteers and participants of the event. A special appreciation from the Trust to all of you who generously donated via the auction. And a big hand to Fly540 for assisting with a return ticket for Susie to attend and judge the event. Click here for info on sponsors and winning teams and lots more photos! 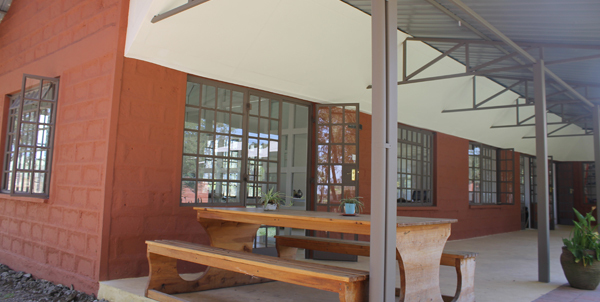 December 2013 - Beautiful new offices are completed for the Mount Kenya Trust by the Woodcock Family Charitable Trust at Turaco Farm near Nanyuki. Offices have also been built for fellow conservation organisation Space for Giants at the same location. Both organisations are incredibly grateful for this unprecedented gift to our conservation operations which will keep supporting us for many many years to come, keeping our overheads low and our workforce motivated. 1. Rhino Ark's move to Mount Kenya is quickly bearing fruit. We are proud to be working with this incredible organisation. 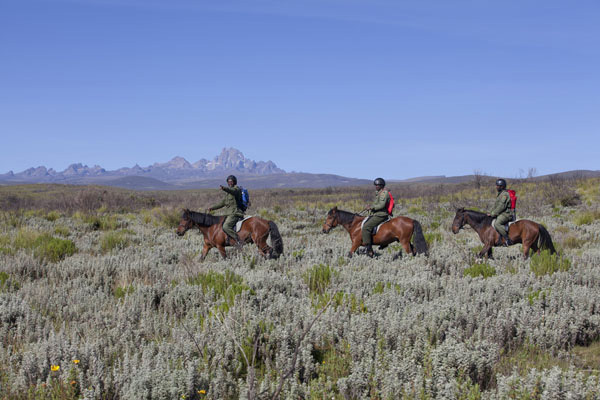 Fencing and facilitation of numerous partnerships, joint projects and increased survellience has given us a renewed sense of hope for the future of Mount Kenya. 2. KWS and the dedication and commitment of Senior Warden Simon Gitau and his team on Mount Kenya have ensured that elephant poaching on the Mountain has been significantly reduced in the past year. The battle is not over but continued support for the Mount Kenya KWS team, Mount Kenya Trust and Rhino Ark are key to Mount Kenya's future. 3. In December 2013 - Conservationists had reason to celebrate Christmas with the news that Kenya's new Wildlife Conservation and Management Bill was signed by President Kenyatta. Click here for more detail. 4. Thanks to Eden Wildlife Trust and the Safaricom Marathon we have recently been able to complete a new housing block for the Marania Wildlife Guards at the Mount Kenya end of the Elephant corridor on Marania Farm. 5. McLaren Vale Winemakers in Australia are making us a special one off Shiraz which is in vats fermenting as we speak! The wine will be ready bottling and importing later this year! Profits go to Mount Kenya Trust. The George Drew Foundation, The SAX 10 to 4. The African Fund for Endangered Wildlife, The Eden Wildlife Trust, Tusk Trust, The Safricom Foundation, The Safaricom Marathon. The Rufford Small Grants Foundation, The Born Free Foundation, Riding High with Charly Beak. The Rufford Small Grants Foundation, Safarilink Aviation. The Mombasa Movember Event, The Born Free Foundation, Friends of Africa International, The Rouse Family Trust, The International Elephant Foundation, East African Canvas, Ava Paton, Cleo Drayton, The BBC via Bryn and Tara Llewelyn, Monique Gignot, Gill Edwards, Anne Delorie. Thanks to our regular contributors, friends of MKT and a handful of this year's volunteer supporters who have given up significant time to help us out - Gill Tree, Safaris Unlimited, Ol Donyo Farm, Steve Strong, Maggie and Tim Hobbs, Sally and Slash Woodcock, Tom Lawrence, Henry Van Der Does, Dom Weeks, Melissa Neil, Penny Watlington, Vicky Tait, Steve and Robin Shapiro, Celia and Sparky Behrens, Don White, Julia Francombe, Jenny Groom and Morten Jensen. Major Sponsors: SAX, Tropic Air, Fly540, BATUK, Highlands Water, Laikipia Widlife Forum and Royal African Safaris. Major Partners: Kisima Farm, Borana, Marania Farm, The Kenya Wildlife Service, The Born Free Foundation and the Ngare Ndare Forest Trust. Organisers: Sally Pygott, Susie Weeks and the MKT team. Volunteer Organising Committee: Peter Simpson, Olly Keeble, Martin Dyer, Don White, Alex Tibwitta, Richard Harney. Volunteers and support: Jamie Roberts, Elsen Karstad, Tracy White, Karina Jessop, Sara Dyer, Charlie Dyer, Rose Dyer, Jimmy & Rose Caldwell, Fi Ansett, Jamie & Dani Murray, Bryn & Tara Llewelyn, Michael & Nicky Dyer, Neil Hargreaves, Tom Lawrence, David Ngundo, Gerald Osmond, Helle Sejer-Hansen, Belinda & Kevin Mackey, Brandon Barbour, Akira Gaymer, Sue Pygott, Jojo Barlow, Michael Spencer, Kelly Wellman, David Manoa, Phoebe Odhiang, and the Born Free Team. Ellie Huges, Monique Gignot, Fi Ansett, Eddie Cunningham, Stu Cunningham and friends. Special thanks to Charly Beak, Amanda Beak, Rachel Robley, Sara Dyer, Kisima Farm, Borana, The MKT Horse Patrol Team, The Kenya Wildlife Service and everyone who sponsored Charly's adventure.